Adam Smith: His Life, Thought, and Legacy (2016) | Moral Markets? Adam Smith (1723–90) is perhaps best known as one of the first champions of the free market and is widely regarded as the founding father of capitalism. From his ideas about the promise and pitfalls of globalization to his steadfast belief in the preservation of human dignity, his work is as relevant today as it was in the eighteenth century. 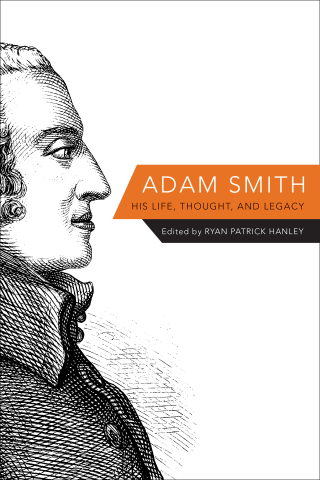 In Adam Smith: His Life, Thought, and Legacy Ryan Hanley brings together some of the world's finest scholars from across a variety of disciplines to offer new perspectives on Smith’s life, thought, and enduring legacy. Contributors provide succinct and accessible discussions of Smith’s landmark works and the historical context in which he wrote them, the core concepts of Smith’s social vision, and the lasting impact of Smith’s ideas in both academia and the broader world. 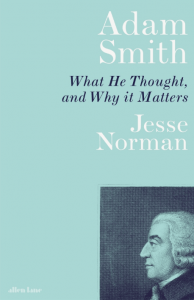 They reveal other sides of Smith beyond the familiar portrayal of him as the author of the invisible hand, emphasizing his deep interests in such fields as rhetoric, ethics, and jurisprudence. 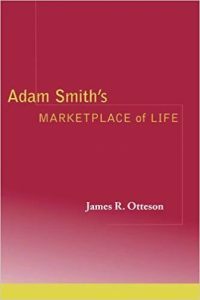 Smith emerges not just as a champion of free markets but also as a thinker whose unique perspective encompasses broader commitments to virtue, justice, equality, and freedom. An essential introduction to Adam Smith’s life and work, this incisive and thought-provoking book features contributions from leading figures such as Nicholas Phillipson, Amartya Sen, and John C. Bogle. Adam Smith: His Life, Thought, and Legacy demonstrates how Smith’s timeless insights speak to contemporary concerns such as growth in the developing world and the future of free trade, and how his influence extends to fields ranging from literature and philosophy to religion and law. "Thankfully the advances in scholarship about Smith and the salience of his thought include contributions like this edited volume, a substantive achievement. Ryan Patrick Hanley, himself one of the leading lights in Smith scholarship, brings together a diverse and comprehensive collection of scholars to produce a volume that provides a thorough introduction not only to Smith and his works but also to their various interpretations and applications today. [...] It is rare for an edited volume of even a fraction of this length to maintain a level of high quality across the different contributions, but this collection manages such a feat. There are very few, if any, real disappointments among the essays, and even ones that are more speculative or seem less convincing have valuable insights to provide to careful readers. [...] Each chapter includes the author’s recommendations for key sources to engage the topic more deeply, and thus this volume can serve not only as a general primer on Smith but also as a helpful guide for more substantive and specialized study. Adam Smith: His Life, Thought, and Legacy is a signal contribution to engaging the work and significance of a formative figure both in the history of Western civilization as well as for its future." "Hanley's hope is that the book serves as a guide to Smith's ruin field of thought, introducing the uninitiated to Smith's key ideas, and also laying out the land to specialized scholars. But these are two very different audiences, and the contributors mostly responded by choosing one or the other. [...] Reading it from cover to cover, the effect can at times be a little repetitive, especially when the same details of Smith's life are mentioned over and over. So the book works best when readers take the tours they want to go on. [...] the book is an engine of serendipity. 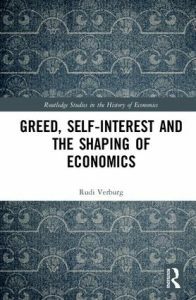 By sandwiching economics between virtue ethics and rhetoric, like books on a library shelf, it encourages researchers in one discipline to stumble across the insights of unfamiliar disciplines." "The contributions are succinct yet deliver a great deal of insight because of their narrow focus. This compendium serves as a reference book for anyone who wants to explore Smith’s contributions on a wide variety of topics. [...] The primary strength of this work is the diversity of the contributions. By including dozens of authors from a variety of perspectives, Hanley has put together a deep, thoughtful, and expansive volume examining Adam Smith, his works, his ideas, and his influence on the world up to today. For an example of the ideological diversity in this volume, Vernon Smith and Amartya Sen have back-to-back chapters offering very different perspectives on what Smith thought about markets. Another example is the pairing of two chapters called 'Adam Smith and the Left,' by Samuel Fleischacker, and 'Adam Smith and the Right,' by James Otteson. [...] The brevity of these essays is another strength. Each entry runs fifteen to twenty pages. They are also quite accessible to those who are not experts on Smith’s thought or even familiar with most of his corpus. A third major strength of this edited volume is the detailed references and bibliographic essay at the end of each chapter. [...] I can think of but two weaknesses in the volume. First, I disagree with how a few of the essays portray Smith and his thought — or rather don’t portray it. [...] The second weakness, which is inherent in this sort of project, is that there is no clear overarching theme tying the various essays together. Hanley has done a respectable job of grouping the essays by topic and explaining the overall purpose of the work — but several of the essays feel ad hoc or out of place. [...] For someone who wants a crash course in Adam Smith, by all means read this volume from cover to cover. But for most readers the best way to use this book will be choosing particular contributions based upon your personal or research interests."